WHAT DO YOU DO IF A CAR ACCIDENT ISN’T YOUR FAULT? 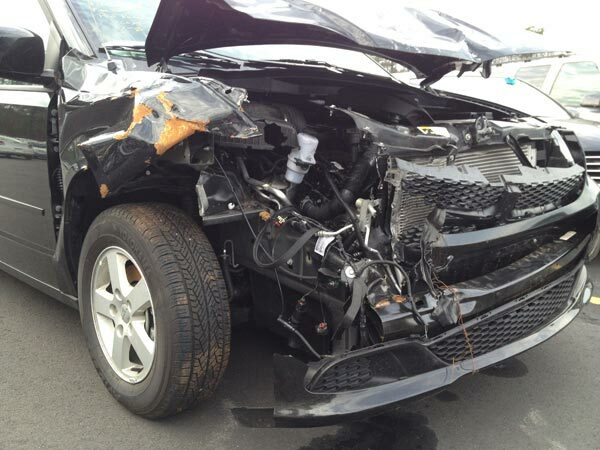 Car accidents are kind of like death and taxes. No one really likes to think about them, much less talk about them. From the moment you receive your license at age 16 and drive away from the car dealership with your treasured first car, you will likely spend the rest of your life being as cautious as possible and doing everything you can do avoid an accident. Unfortunately, even if you’re the best driver in the world, navigating the road isn’t a single-person job. Driving involves a lot of compromise. Every time you pull out of your driveway, you’re putting your trust in hundreds of other licensed drivers who you will share the roads with. There is no guarantee that you won’t encounter a driver who is intoxicated, distracted, or reckless. This is absolutely the first thing you should do after the shock of an accident. Even if you are facing injuries and spend a few days in the hospital, it is important to collect significant information from the other driver as soon as possible. (The health information exchange may make this process easier for you.) If you are uninjured and simply annoyed because of the brand new ding in the side of your precious car, you should definitely prioritize speaking to the other driver right at the scene. You’ll need their name and address, but you shouldn’t be nervous to ask for their insurance company’s information, either. A motorist who has caused an accident is expected to do the honorable thing by willingly offering up their information and doing everything they can to make the situation easier for you. They are also required to report the details of the accident to their insurance company, but drivers who have been caught out might avoid doing this. This means that you should take the time to contact their insurers, too. It’s not always pleasant to ask for incriminating details about the other driver, especially if he or she is being intentionally difficult (or trying to intimidate you into leaving well enough alone), but in order to build the best case for yourself, it is necessary to get a complete statement from each of the witnesses. In most cases there are only a few close witnesses at the scene, and you should take the time to speak with all of them. Get their statements and don’t be afraid to ask for their contact information. Chances are, you will need to follow up at some point. If the case is as clear-cut as you think, witness statements will corroborate this. If the other driver was intoxicated, their statements might help get the other driver get into drug and alcohol rehab and ensure they face consequences for their crime. Getting a lawyer in the wake of an accident is arguably the most important thing you will do to protect yourself. You can be certain the other motorist will lawyer up immediately too, so you want to be sure you have good legal representation on your side. Local lawyers who specialize in vehicular accidents and personal injury are easy to find and many are highly affordable. Car wrecks are so common that accident attorneys, even in small towns, are typically very well-versed and informed. An accident attorney in Pennsylvania is likely to work a lot; in 2017, around 15 crashes were reported every hour. Previous ArticleDoes a Car Dealership Have to Disclose an Accident?